Big Big Congratulations to the greatest coach-Vera Efremovna Shtelbaums!!! Like Zhenya said many times, without her coach-Vera Efremovna, she could not reach such outstanding achievement! I wish you good health and a long life. Hope to see you training more and more great gymnasts. Happy Birthday!!! С днем рождения !!! and Happy Birthday to her another pupil Irina Tchachina!!! 🙂 Best Wishes for you Both!!! 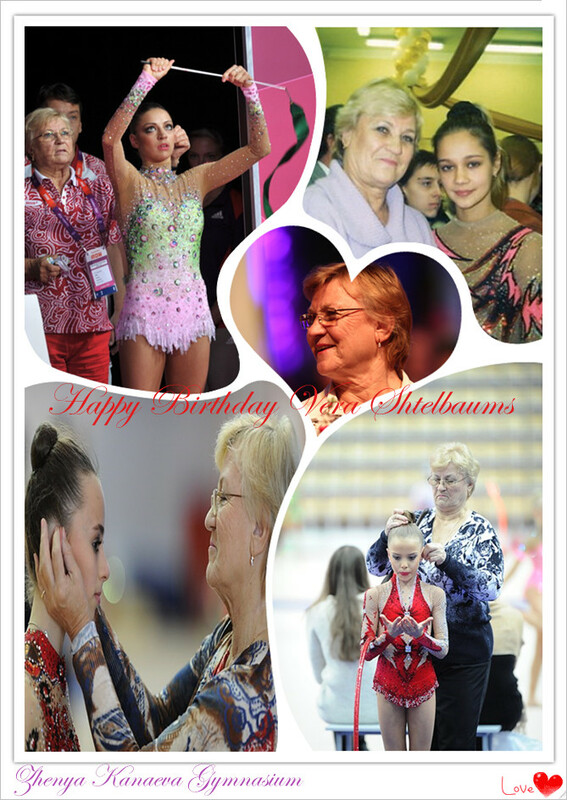 This entry was posted in Zhenya Kanaeva Gymnasium and tagged Irina Tchachina, Vera Shtelbaums. Bookmark the permalink. Happy birthday VERA e IRINA. Great joy to know fulfill the same day that I.
I am always pending your huge career and of my dear ZHENYA. KISSES.